Funeral sympathy basket for a crematorium or cemetery. Nice small size made up in a wicker basket. 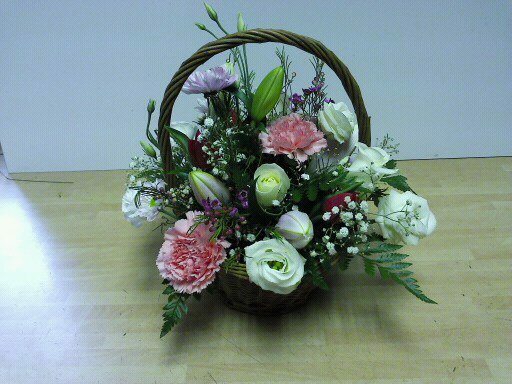 This funeral sympathy basket can be made in a variety of colours.